We are pleased to announce that BRE Global Limited has awarded Angel Court, Bank, a BREEAM 2014 Offices ‘Excellent’ Post Construction Rating (PCR), the first development in London to achieve a full certification in 2017. Having also been the first City tower to complete in 2017, this achievement reflects the efforts of the client and design team to deliver a sustainable, future proofed design. The prestigious 300,000ft2 prime office building is situated in the heart of London’s financial district, boasting 24-storeys of panoramic views across the Bank conservation and uninterrupted 360-degree views of London’s skyline. Our team worked closely with Mitsui Fudosan UK (‘Mitsui Fudosan’) and development partner Stanhope Plc, in our role as the multidiscipline engineer providing MEP, structures, civil and environmental consultancy services. The Grade A office space offers large, flexible floor plates throughout and benefits from a number of terraces and outdoor spaces. 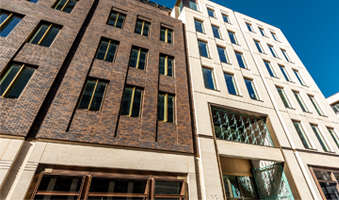 Sustainability has been a key priority for the design of Angel Court, with high performance standards reducing both energy and water consumption. These initiatives resulted in predicted carbon emissions being 35% less than building regulations, achieving an EPC A rating and a 50% reduction in anticipated water use through grey and rain water harvesting. In addition, approximately 60% of the existing foundations have been recycled which reduced the overall programme delivery and carbon footprint of the development. 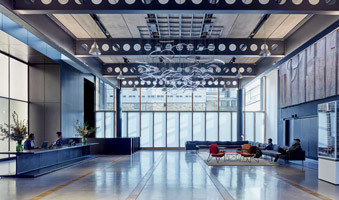 The Bower, a new 48,300 m2 landmark development next to London’s Old Street Roundabout, has reached practical completion. 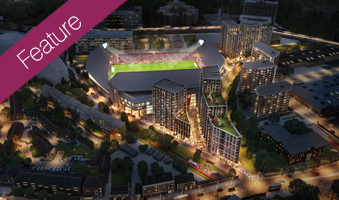 Focused around the site of the new Brentford FC community football stadium, a major development aims to regenerate Brentford, and deliver a new hub for the community at Kew Bridge. Find out more about the scheme in our latest edition of Waterman Times. 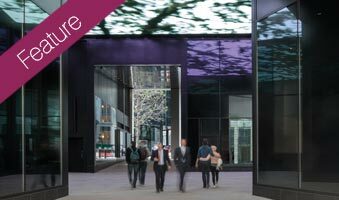 Fen Court is an exciting new office and retail development featuring one of London’s largest rooftop restaurants, find out more about the project in our latest edition of Waterman Times. The prestigious 35,000 sqft commercial development celebrates its completion. © 2019 Copyright Waterman Group. All rights reserved.